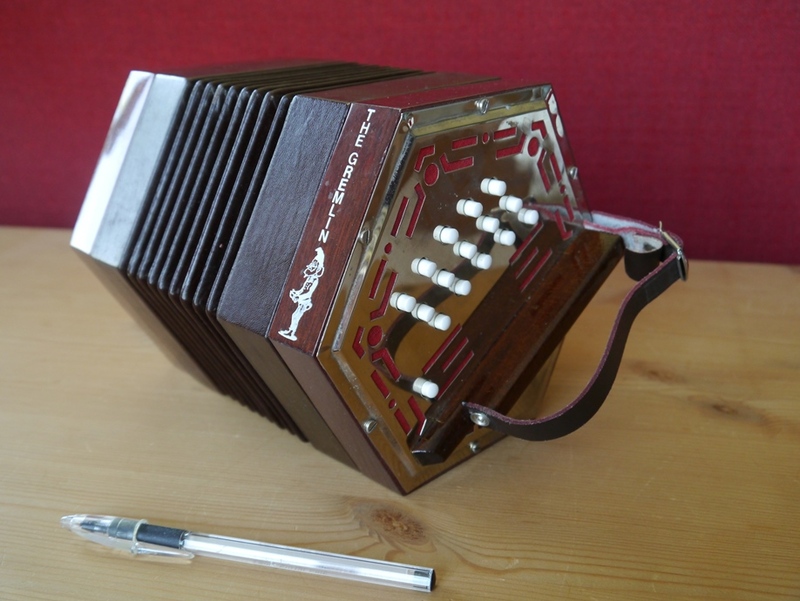 Stagi Gremlin 30 key Anglo concertina model W15E in the keys of G/D, Italian made. For some reason two reed plates had been fitted the wrong way up. I returned them to their proper position, to give the instrument the standard Wheatstone layout. The G/D Anglo concertina is possibly better suited to English music than the C/G (some might argue). Please see demo video below – it has a great sound.